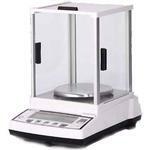 The PS-B Analytical Precision Balances are our high end load cell based balance with great performance. It has super fast response time and impressive linearity. It also come with com port and free software to connect with a computer. The PS-B103(203) is our high end load cell based balance with great performance. It features high 100 gram (200 gram) capacity with 1/1000th gram (or 1mg) accuracy. It has super fast response time and impressive linearity. It also come with com port and free software to connect with a computer. The Prime Scales PS-B602 is a high end load cell based balance with great performance and a super fast response time as well as impressive linearity. 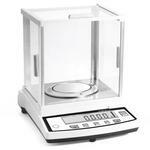 The Prime Scales PS-B1002 features high 1000g capacity with 1/100th gram accuracy. It is a high end load cell based balance with great performance and a super fast response time as well as impressive linearity. It also come with com port and free software to connect with a computer. 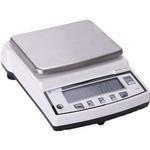 PS-B2001, PS-B10001 balance scale is a heavy duty balance can be used in labs, schools and industries. It comes with 10 weighing units g, ct, oz, ozt, gn, dwt, N, tola, t/a/r, dr, tl.T, ltl.j, ltl.H and lb. It can also be used as a precise counting scale for small items. diameter: 3.15" diameter: 5.5" 7" x 6.5"